Check out the subsets of the Real Numbers shown in the diagram at the right. Notice that the rational and irrational numbers are contained within the set of Real Numbers. A rational number is a number that can be expressed as a fraction (ratio) in the form where p and q are integers and q is not zero. 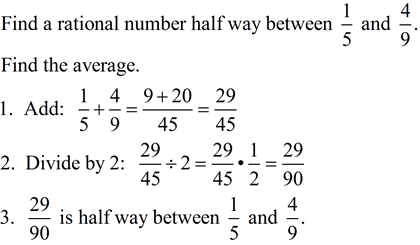 A rational number can be expressed as a ratio (fraction). it becomes a terminating or repeating decimal. Some rational fractions may produce a large number of digits in their repeating patterns, which may exceed the size of the viewing screen on a calculator. The fraction 53/83 has a calculator display of 0.6385542169, which shows no repeating pattern, when in reality the pattern will repeat after 41 digits. An irrational number is a number that is NOT rational. It cannot be expressed as a fraction with integer values in the numerator and denominator. When an irrational number is expressed in decimal form, it goes on forever without repeating. While it is popular to use 3.14 or to represent "pi", these values are only estimates or approximations. Notice the differences in the decimal representations on the calculator screen at the right. they possess all of the properties assigned to the real number system.